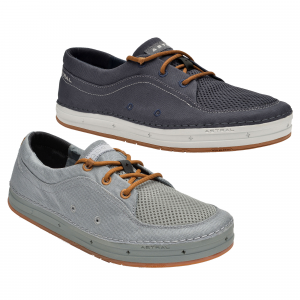 Love the design, but with repeated exposure to fresh and salt water (immediately fresh water rinsed after, no eroding soaps used) the sole is delaminating from the mid-sole. Repairing myself, but disappointing considering the supposed "pro" level design of the sandal. The rest of the shoe is flawless. Hopefully my glue job restores the sandal to its former glory. I've been using the Sunkosi as a river kayaking shoe for a couple of weeks. It's super comfy and fits in my boat well. BUT they are so slippery on wet rock that I'm better off wearing bare feet. The rubber on the bottom is way to hard and as a result it just slides everywhere. 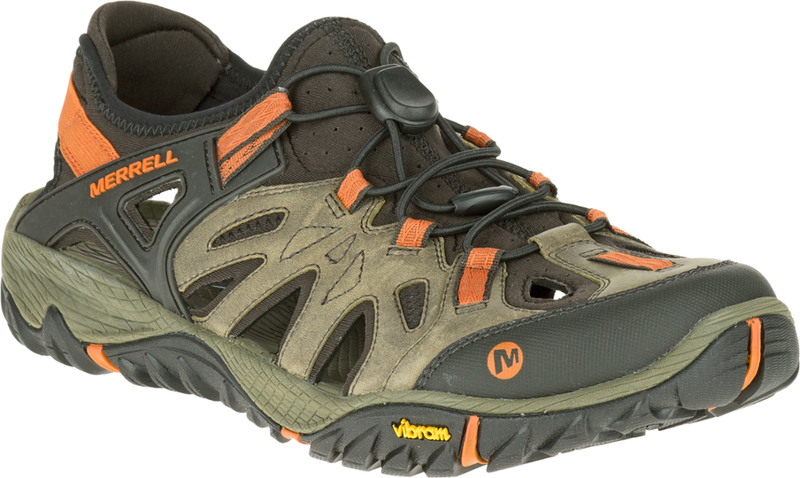 Do not recommend at all if you are planning on using these shoes on wet rock as they are just plain dangerous. My husband and I live in Hawaii and love to hike, kayak and snorkel. I highly recommend this shoe. We were looking for a sandal/shoe hybrid that would drain quickly, wouldn't give us blisters when we didn't wear socks, and wouldn't allow rocks into the shoe. 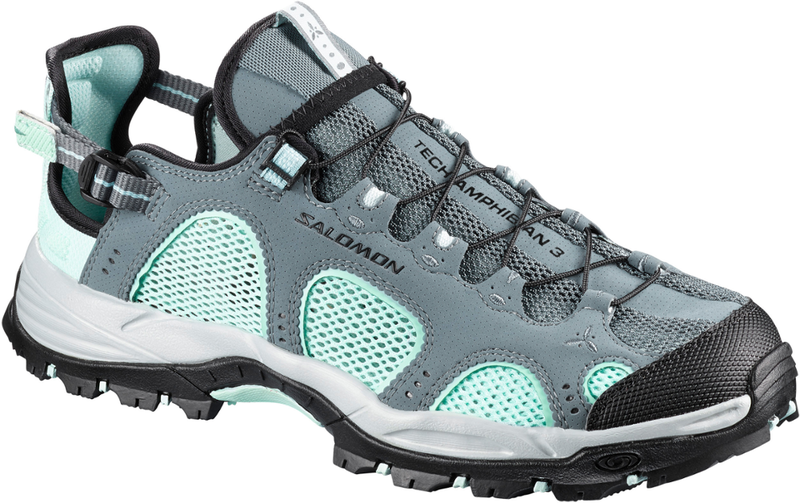 At first we got the Salomon Amphibian shoes. We were disappointed. They didn't look very durable and they weren't very comfortable. 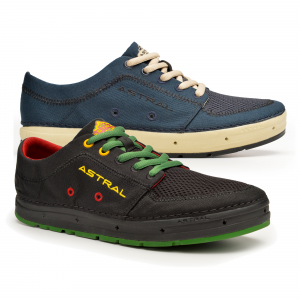 We could tell we'd get blisters while wearing these shoes and they weren't cushy. We sent them back and got the more expensive Teva Sunkosi. It's worth the extra money not to have blisters. 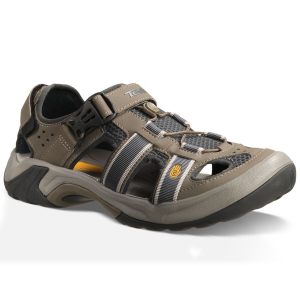 The Tevas are very comfy, fit very securely around your foot, and have very good traction. They are also a good looking shoe. They are so comfortable, I feel like I could wear this shoe while jogging. I saw it advertised on most websites for a little over $100. I found it for $74 at bentgear.com. Even if you don't find it on sale, it is worth the extra money. The Sunkosi has been discontinued. The Teva Sunkosi is not available from the stores we monitor. It was last seen May 19, 2010	at Backcountry Outlet.